Firm: De Leon Washburn & Ward, P.C. Ben De Leon is the President of De Leon Washburn & Ward, P.C., where he first started as a law clerk in 2004. 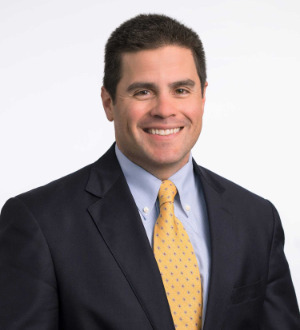 His legal focus includes serving as outside general counsel to various small to mid-size companies in the areas of corporate organization, corporate governance, compliance, operational transactions, administrative and regulatory law, litigation, labor and employment, insurance law, real estate and construction matters, and technology law. Ben’s service-minded nature extends beyond his legal practice to his passion for improving the community. Since he was a Texas Law School student, where he received a Texas Law Fellowship for work in public interest and served as a student attorney in the Juvenile Justice Clinic, Ben has used his skills as an attorney to help others. A native Austinite, Ben is fluent in Spanish, and has represented Spanish-speaking clients pro bono through Volunteer Legal Services of Central Texas since 2005. Through Big Brothers Big Sisters of Central Texas, Ben was a Big Brother to his Little Brother, Anthony, for nearly 7 years. Ben was named the 2009 National Big Brother of the Year by Big Brothers Big Sisters of America, out of more than 250,000 mentors nationwide. Ben is married to Shannon Lee De Leon; they are the proud parents of daughters, Anna and Winnie, and son, Henry.